This is how we ended up in New York for six weeks. From one massive city to another! We were leaving London and on our way to New York. Find out how our first day went. Take a look at a collection of our favourite Central Park photos, New York City. Ellis Island – The place where the world connected. Come with us and learn about what happened here as immigrants arrived. During our 6 week stay in Manhattan we were lucky enough to be staying in a home smack in the middle of West Harlem. Our experience at Amateur Night at the Apollo Theater in Harlem, New York. It was the most fun we could have trying to make others miserable. New York vibrates at night and we did our best to capture it in Photos. Check out what NYC Nightlife looks like. Attending a Sunday service in Harlem as a tourist. We are still not sure if it was right or wrong, but it was a great experience. Rockefeller Center or the Empire State Building? Which one offers the best views of NYC? Not only did we win The Amazing NY Race, we dominated the eleven other teams. New York made a big impression. Literally, Twice! – Getting Pierced and Inked. Join Pete and I for a progressive Lunch – A food journey through New York City. 6 weeks are not enough to explore New York. But we managed to do a lot! This is a compilation of our favorites things to do. Six weeks is a lotta time to take a lotta photos. Here is part 1 of Postcards From New York City. As a grand finale for our visit we put together part 2 of Postcards From New York City. As perpetual world travelers, ‘home’ is a tricky word and hard thing to find. But in Wisconson we think we found it….if even for just a few short months. On what we knew would be our last time kayaking on the lake, we certainly made the most of it. Finding a Wisconsin lake is like finding a prairie in Alberta. There are over 15,000 lakes in the state. And thus we took a lot of photos. A Perfect Romantic Getaway in Canoe Bay. Almost. Check out a few of our favorite panoramic photos of Wisconsin. Beer, beer and more beer. We went on a Beermersion adventure at the theLeinenkugel Brewery. Whenever you visit the Devil’s Punchbowl in Wisconsin, make sure to bring some Skittles with you. Find out why. We underestimated the impact of seeing the mighty Mississippi River in person. This is a post of our favourite pictures. We found ourselves in the Right Place but Wrong Time. Caught between summer and winter. A new look at the “cheese” state – A weird yet fun and interesting find in Wisconsin. When we traveled to Wisconsin and everyone was saying that we HAD to tryFried Cheese Curds, so we got cooking. After growing up in Alberta, I never thought that winter and snow could be enjoyable, until I spent a winter in Wisconsin. We scored tickets to a Green Bay Packers game and got to experience the fans at Lambeau Field. With over 600 types of cheeses, Wisconsin can drive any cheese lovers out there crazy! An unforgettable afternoon dog sledding in northern Wisconsin withWolfsong Adventures in Mushing. After spending almost three months in the cheese state, we can sum up what we know about Wisconsin in seven words. 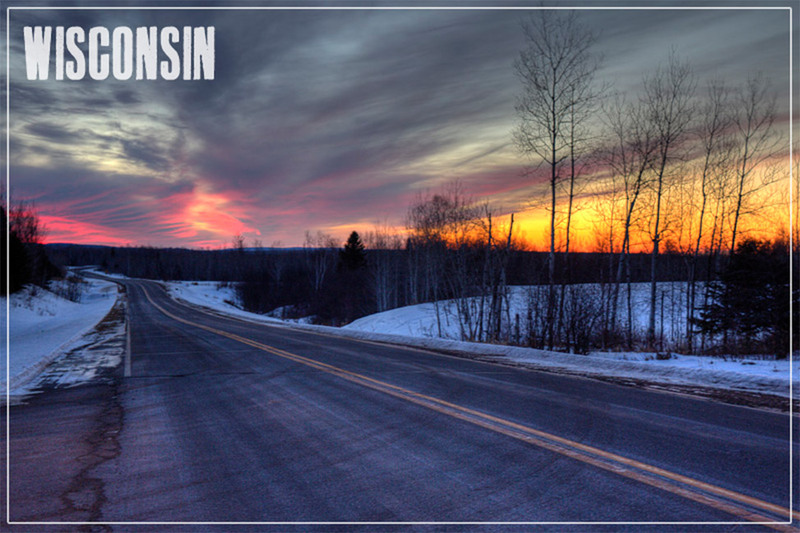 Our favorite photos from Wisconsin turned in to postcards. From underwater to soaring through her skies, we loved to see Maui from every angle. This is a video teaser of all we did on the small island. Three stories of “Ha” – or how we discovered the Aloha spirit while in Maui. Less than two hours after landing at the Maui airport, we took off again on an excursion so see the coast of Maui from above. And our sunrise curse continues! After being disappointed in Angkor Wat and Tikal for not being able to see the first morning rays, it happened again in Maui. Our guide Curtis must have the best job in Maui – kayaking and snorkeling. He might just have the best job in the world. Take a look at some of our favorite Photos Along the Road to Hana. Eighteen postcards from Maui that capture the magical moments we enjoyed while on the island. On our next visit to Hawaii, we discovered the “old” Hawai’i on the majestic island of Moloka’i. On what very well might be our most interesting visit to the state of Hawai’i, we gained restricted access to the former leper settlement of Kalaupapa on Moloka’i, one of the most beautiful places on the islands — which also served as a prison. For an introverted cat lover, it does not get better than the Lanai Cat Sanctuary. We went SNUBA diving in Lanai, a sport that balances the safety net of snorkeling with the depths of scuba diving. It’s a solution for the fearful yet curious! Another round of stunning Hawaii Postcards! These are our favorite photographs of Molokai, Lanai, and Maui — Three different islands; one beautiful spirit. A collection of photos from our autumn in Ann Arbor. Forget what you’ve heard and go visit Detroit – we bet it won’t be what you expect. In which Dalene embarks on her longest solo journey to-date and takes some better-than-she-thought photos of Great American Waterways on a small ship cruise. Did you know you could cruise the Great Lakes? Neither did we until Dalene took a small ship adventure and explored some fantastic American cities — all by boat!